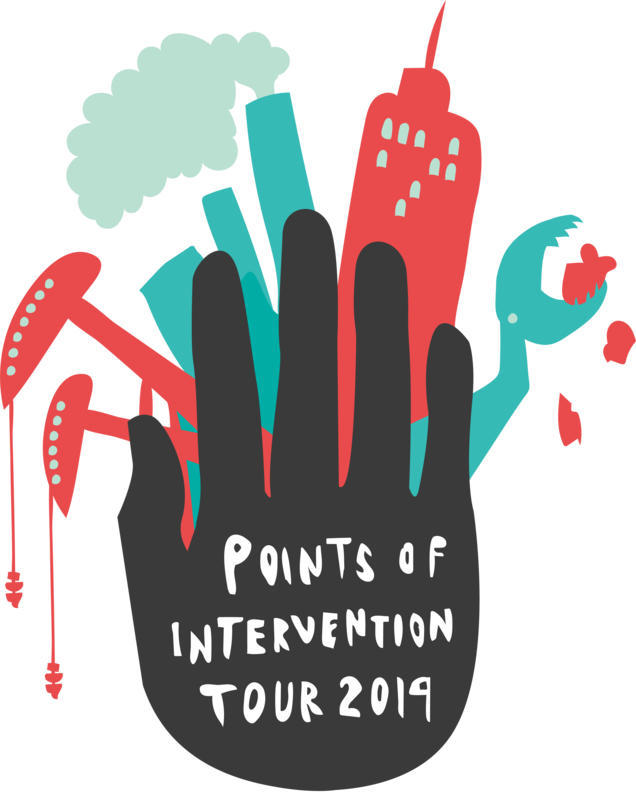 The 2019 Points of Intervention: Challenging the Linear Consumption Economy Tour will visit about 20 campuses throughout the spring. Each campus stop will look a little different, highlighting the projects that make the campus and region unique. If you are at all interested in hosting a tour stop, please fill out the form at the bottom of this page — this is not a commitment, just the beginning of an awesome conversation! The following options represent various types of engagements PLAN can build with you for your tour stop. Pick one or many! The cost of your tour stop will vary based on the types of activations you select. This form is intended to get your juices flowing — we’ll follow up to flesh out ideas! Still have questions? Check out the FAQ page. Repair and Reuse Fairs are large-scale, whole-day events to mobilize your whole campus around the Points of Intervention model. PLAN’s network of speakers has a wide variety of expertise and is ready to inspire students through lectures, speaker series, or panels. A timed event where students form teams and work together to create possible solutions to a problem around waste or the consumption economy. PLAN can work with your campus’ art department and/or local artists to create visual art that challenges the consumption economy and capitalism. PLAN’s network of speakers is ready to inspire students through lectures, speaker series, or panels. PLAN can help you assess your current Zero Waste infrastructure and help develop a long-term strategic plan. PLAN can provide marketing & other support services, or campuses can opt to handle these in-house. I'm interested in hosting an event! 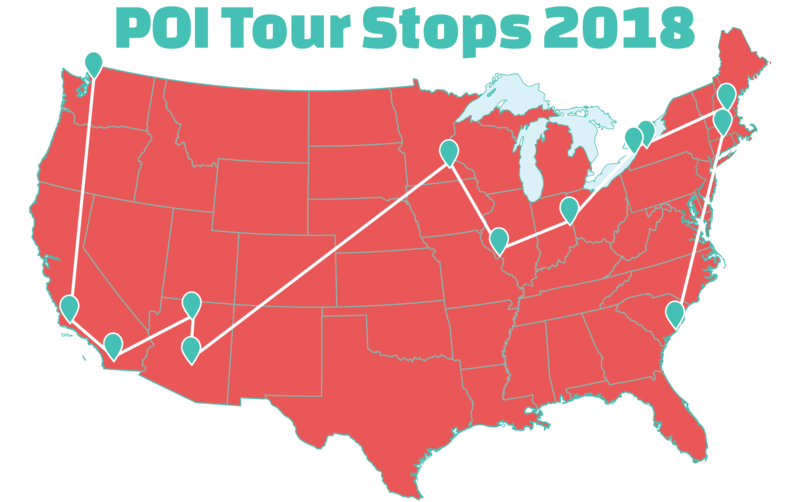 Each stop on the Points of Intervention Tour is a unique convergence of all types of local passions, skills, and expertise among the student body and surrounding community. We work with each campus to organize engaging full-day activations that showcase what real solutions can look like. Wait, what is the Points of Intervention Framework? With 60 percent of global greenhouse gas output coming directly from the stuff we consume, it is clear that climate change, waste, and the social inequities that result are not issues in isolation from one another. Rather, these global woes are symptoms of a collectively flawed system: the Linear Consumption Economy. The hand-me-down of current affairs can leave our generation feeling overwhelmed and powerless. Fortunately, there are many points along this system at which we can intervene. 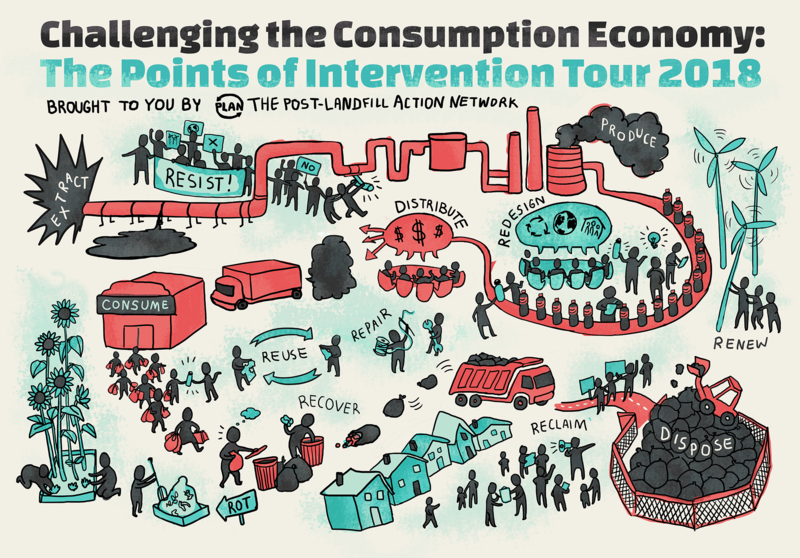 Challenging the Consumption Economy: The Points of Intervention Tour travels to college and university campuses across the country, sharing the stories of individuals who are reimagining this broken system and building a just transition to a circular economy. We refer to these individuals’ actions, which range from protesting pipelines to local food production, as Points of Intervention: specific places in a system where targeted action can effectively interrupt the functioning of the system as a whole. 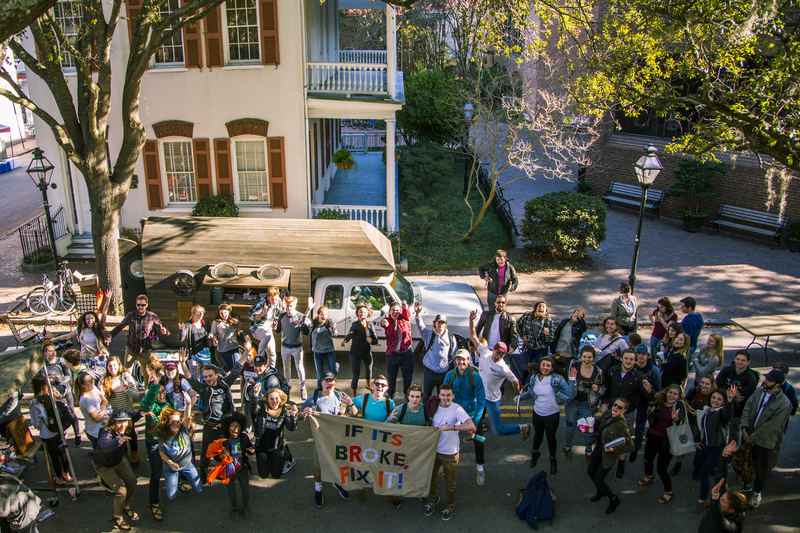 The tour aims to show students that activating their unique experiences and passions is a part of this fight, and that while nobody can do everything, everyone can do something. Bring me to the form! 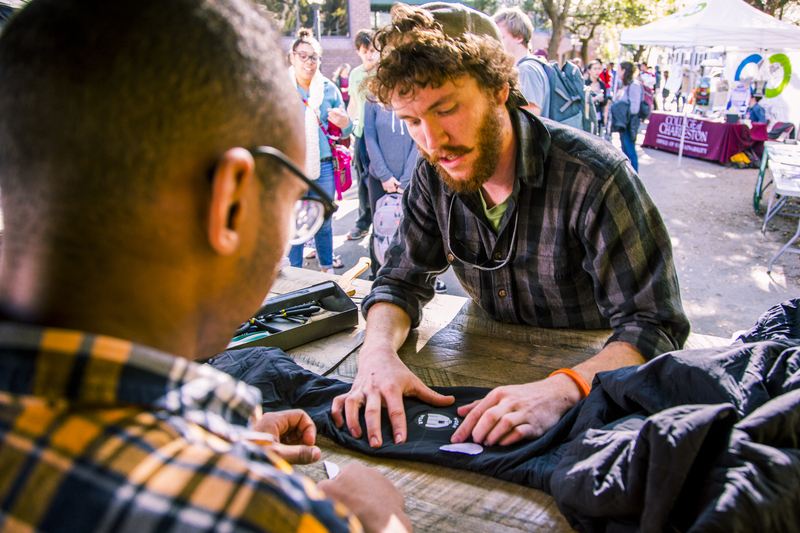 A staple of the 2018 POI Tour, Repair and Reuse Fairs provide an opportunity to mobilize your whole campus around the Points of Intervention model. By inviting diverse student groups, campus departments, local businesses, community organizations, and national partners to exhibit and share their Point of Intervention, we will help create a well-rounded event to energize your campus. We’ll work with our list of national partners to engage as many as possible at your tour stop. 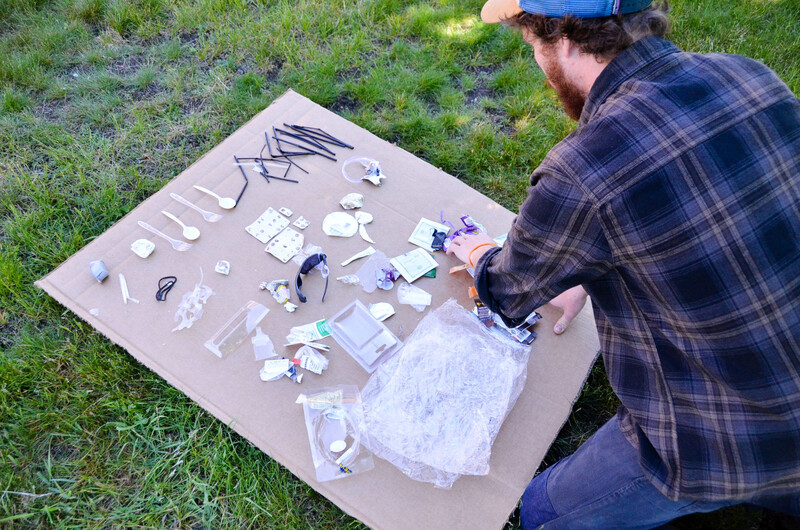 While we can’t make any promises, in the past we’ve worked with Patagonia, iFixIt, Guayaki, Ben & Jerry’s, Preserve Products, Stonyfield yogurt, UKonserve, Klean Kanteen, and more on engagements from DIY repairs & upcycling to free product samples. Let us know who you’re excited about! PLAN will help seek out local companies and community organizations that represent the intersectionality of businesses and movements with challenging the linear consumption economy. We can work with them to host a workshop, offer repairs, or showcase cool and unique products! Together, we’ll share the opportunity with the campus community, and foster partnerships with groups beyond the usual collaborations. 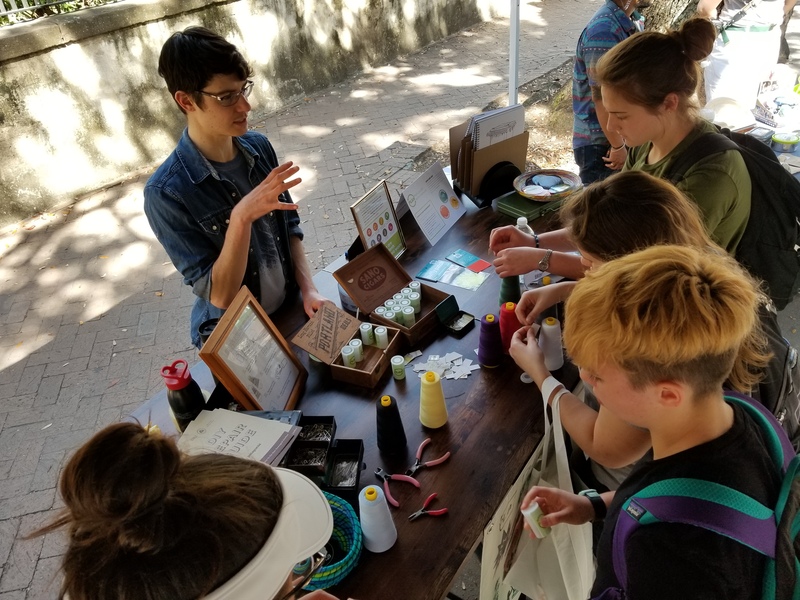 We’ll work with groups to make their exhibits fun with an activity, such as DIY workshops, games, trivia, obstacle courses, or creative displays. Let’s empower and educate students to mend, stitch, and prolong the life of their stuff! We can facilitate a simple repair workshop or catalyze an on-site swap shop or thrift store for students and their gear. Ultimately, inspire students to become owners, rather than consumers, of their possessions. 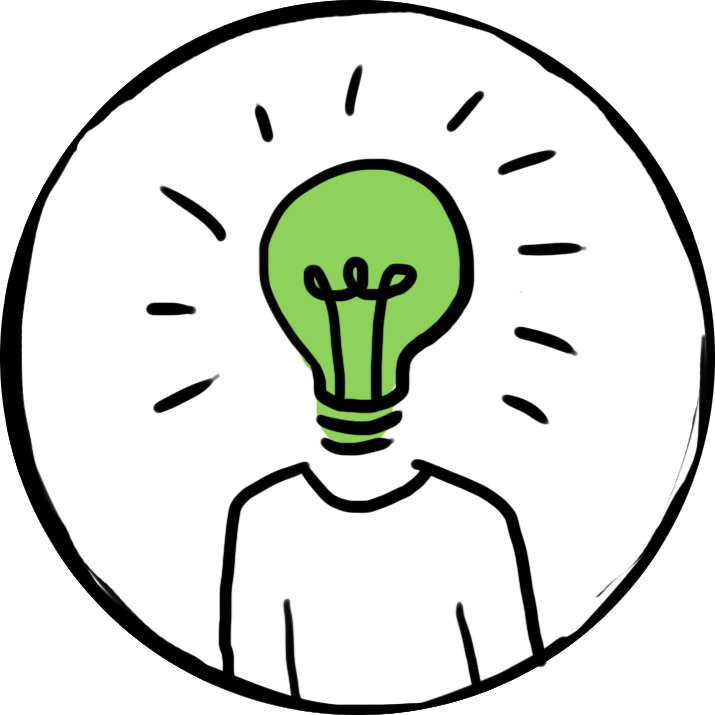 Do you have a makerspace or fixerspace on campus, a reuse or repair center, a compost or on-campus recycling facility, or other cool initiatives that you can showcase at this event? Let’s share a demonstration, workshop, tour or discussion! What’s the best way for students to engage the issue? Get as hands-on as you like! Check out PLAN’s Speakers Bureau for people we can bring to your campus. If you have strong local connections already, PLAN can simply support with the event planning, marketing, and framing. For a design challenge on campus, we will help you host a timed event (12 hours, 24 hours) where students form a teams and work together to create possible solutions to a problem. This collaborative activity challenges students to think critically and build meaningful and creative solutions in a short period of time. We will put together an experienced panel who will judge the proposed solutions, and can even work with you to come up with a prize for the winners! How might we eliminate food waste on campus? How might we expand accessibility of the zero waste movement to all communities, especially indigenous communities and communities of color? How might we reduce negative stigma surrounding reusable menstrual products? How might we eliminate single-use disposable plastics in our campus coffeeshop? 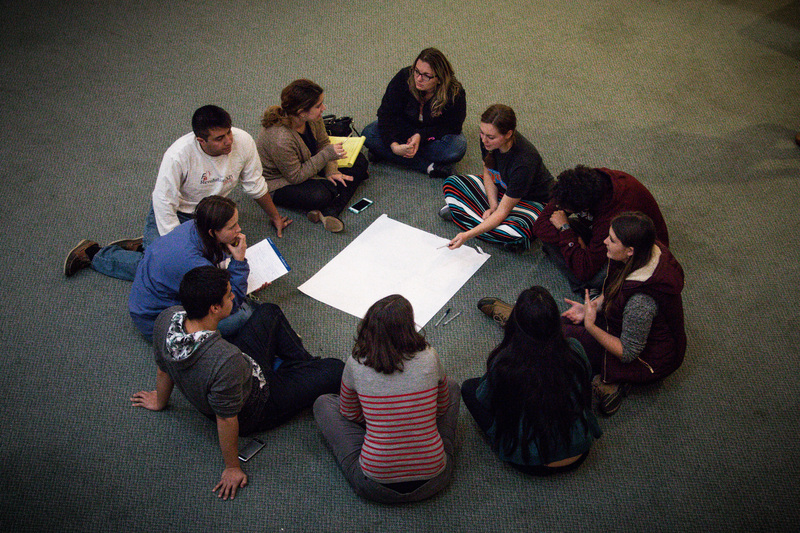 How might we implement triple bottom line principles in our campus community? How might we resist fast fashion? We will work with your campus’ art department and/or local artists to create visual art that challenges the consumption economy and capitalism. Incorporating different hands-on creative activities is also a great way to add more diverse engagement to your fair and highlight the importance art plays in a movement. Bring PLAN’s advising to life with an in-person session with our Campus Coordination team. Our Campus Coordinators offer the expertise in leadership development, program-specific best-practices, and zero waste philosophy to bring your campus to the next level. These events are great by themselves or as a complement to other engagements. Framed through the Points of Intervention framework for change: students explore their diversity of options for engaging in meaningful work after graduation. Learn about the problems with single-use plastics and what can be done in your campus and community to stem the flow. This session covers both quantitative and qualitative skills necessary for the effective leadership of any campus group. Learn how to utilize online tools for delegating group tasks and information, while fostering shared ownership for a safe and collaborative project environment. Don’t let financial restraints be the bane of your program; from the Student Activities Office to Special Projects Funding, there are pockets of funding all over campus for innovative projects like yours! This session will guide you in finding these opportunities on your campus and making that ask. Learn basic grant writing skills, creative fundraising ideas, and techniques to manage project finances. Put your passion into action through organized project development. This session walks you through the necessary components of project development, from timelining and budgeting to identifying stakeholders and risk management. 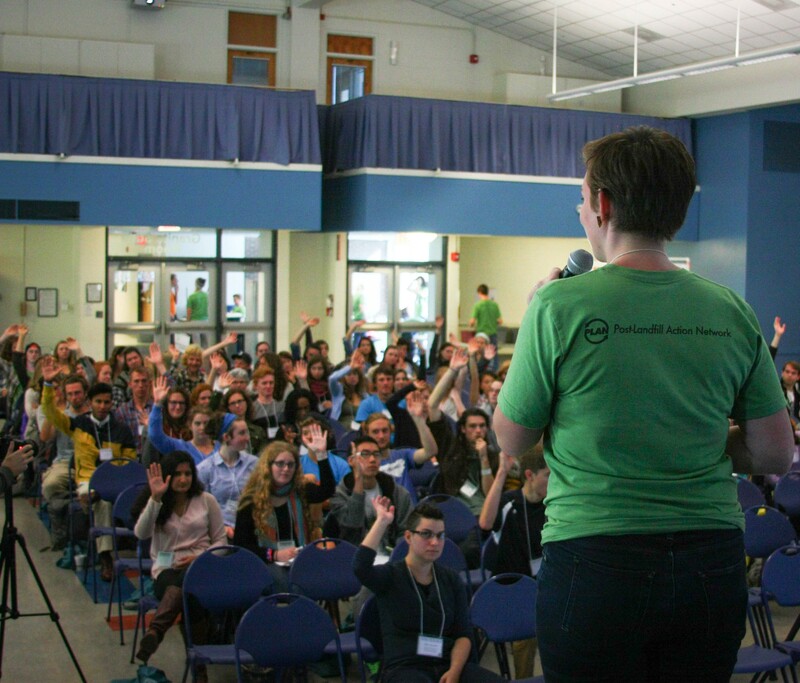 Leave this session with tangible next steps to make change on your campus! This session will guide you in creating systems that ensure your program will continue to grow long after you graduate. Learn techniques for effective record-keeping, finding the next leader of your program, transferring responsibility with ease, and evaluating the pros and cons of institutionalizing your program. This session combines a multitude of project skills, from volunteer recruitment and management to developing effective media and marketing techniques for the highest level of campus engagement in your program. Furthermore, this session will delve deeper into how multiple groups on campus, particularly students and administration, can work together for program success. 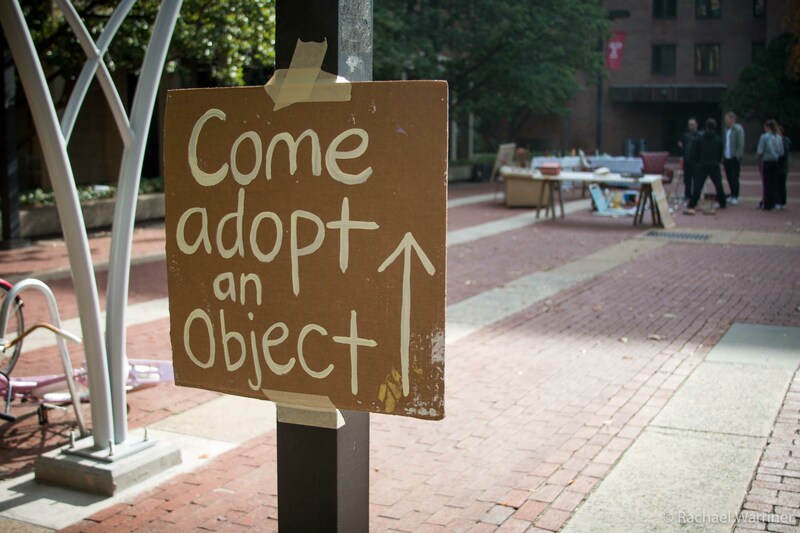 Foster the sharing economy on your campus by establishing a permanent space for reuse. We will first help you to decide whether a free store or thrift store would better suit the demographics of your campus. Then we jump into all of the logistical components, including: finding a permanent space, layout of your store, financing and budgeting for a reuse space, roles and responsibilities of staff and volunteers, and advertising your store to the campus community. Arbitrary expiration dates and unrealistic cosmetic expectations lead to a ton of still-edible food being thrown away! Even before composting your food scraps and other organics, there are a variety of ways to divert food waste from landfills. Facilitated in partnership with Food Recovery Network, these sessions guide you through the food recovery hierarchy, from establishing a team to recover foodstuffs from campus dining halls, to holding interactive activities around food waste awareness. Is your campus in the process of setting goals or developing long-term strategic plans to achieve Zero Waste? Do you want to build new facilities or work towards streamlining efforts like recycling, composting, or reuse efforts across campus? With years of experience working with hundreds of campuses, we can help you assess your current Zero Waste infrastructure, and provide consultation, guidance and group facilitation to develop long-term strategic plans for infrastructure, cross-department collaborations, and new initiatives. PLAN can optionally provide the following services in addition to general coordinating support. Otherwise, campuses can opt to handle these in-house. We can take care of capturing high-quality photo and video from your events! PLAN staff can support a student leader to organize the event. This could be an Office of Sustainability intern, a zero waste club member, or another role, whatever is a good fit for your campus. If you’re interested in hosting PLAN’s 2019 Points of Intervention Form on your campus, please let us know by filling out this form! We will follow up to discuss further, including fleshing out your vision, timing, and cost. Don’t worry – this is not a commitment. Still have questions? Check out the FAQ page. Enter your information here to start the conversation.